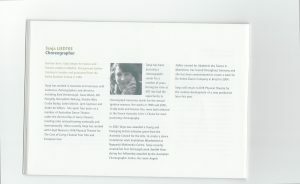 Booklet article – Goethe-Institut Australien. 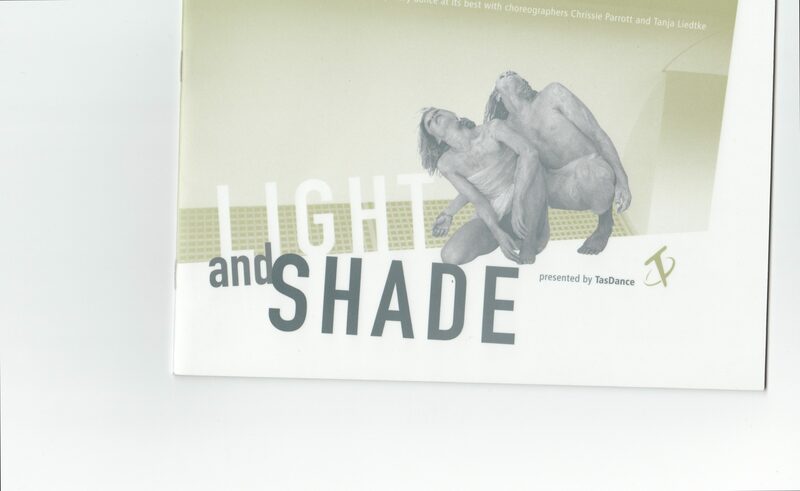 Program for Tasdance’s ‚Light and Shade‘ season in 2004. Includes Tanja Liedtke’s Enter Twilight. 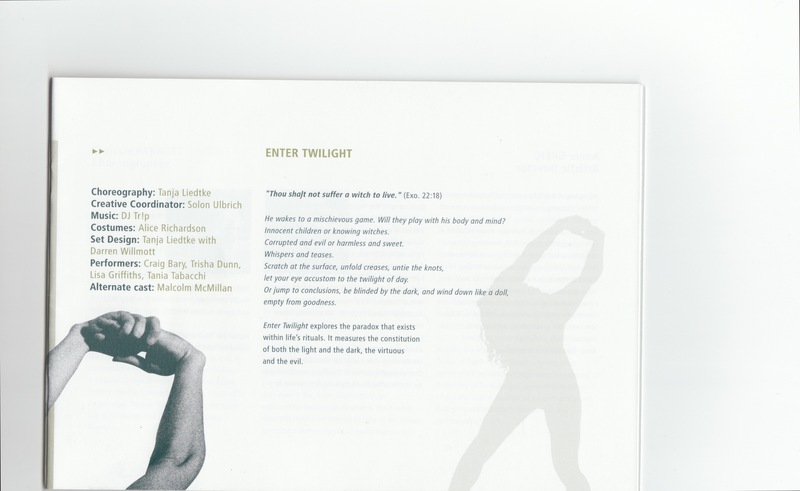 TLF gratefully acknowledges permission granted by Tasdance to reproduce this item on the Tanja Liedtke digital Archive.